Hello! Did everyone have a wonderful holiday weekend? I had to work Friday and Saturday, but I did have Thanksgiving Day and Sunday off, so I was still able to enjoy part of it. All my kids were home and we had a lot of fun playing games, cooking, and watching movies. My daughter Ashley and I also played 'dress up' on one of those days for my Fashion Over Fifty posts. She brought some of her clothes home for me to try on and then she took my picture around our house. She gave me a lot of new ideas for posing and showed me different ways I could photograph in my house so that I don't have to go outside in the cold to take a picture. We had a lot of fun: two grown women playing dress up, like we were little kids again. Now the story behind this card is that this wasn't what it was originally suppose to look like. This is a Re-Do! There was a mistake made on the original card. I don't remember exactly what it was…a ink splat or something like that. 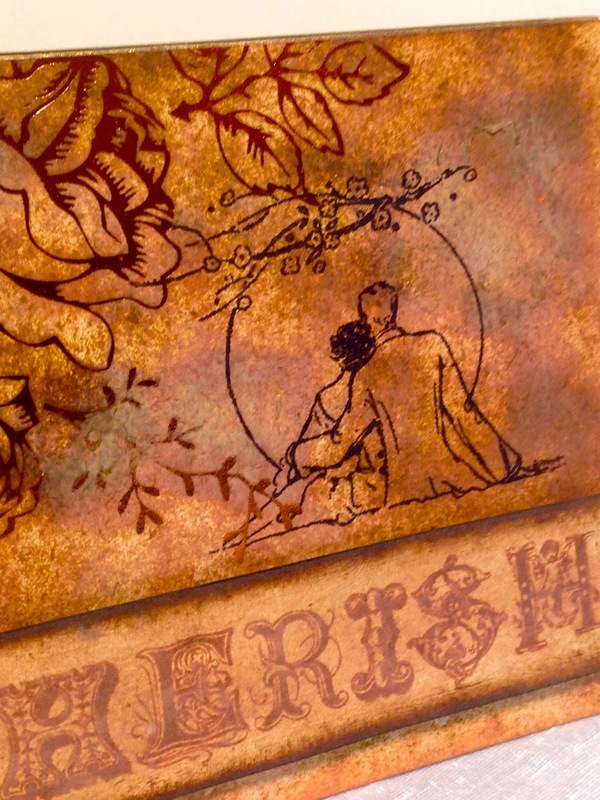 Well rather than chuck the whole card in the garbage, Ashley just distressed it even more by sponging on a variety of Tim Holz distress inks. It ended up turning into a very vintage card! The flowers are actually designer paper, and the images are from Crafty Secrets. 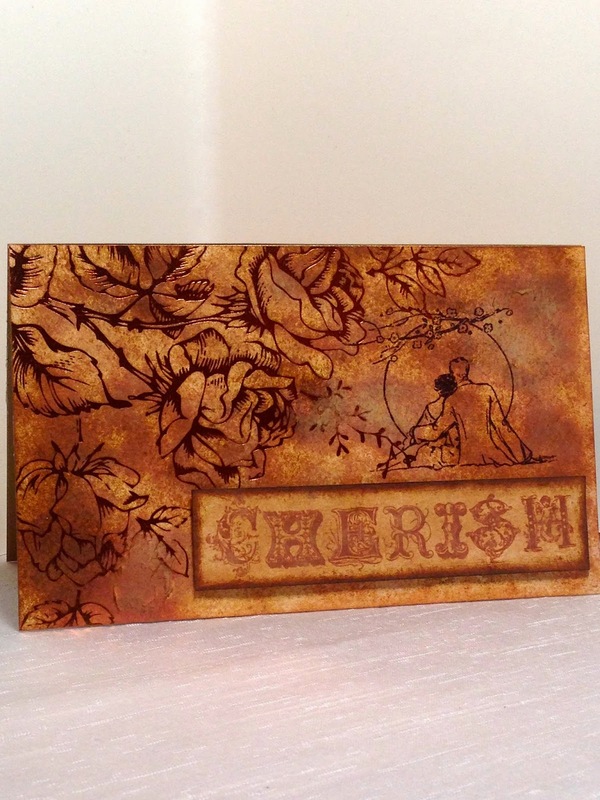 Ashley just stamped the couple directly onto the designer paper and added a sentiment. 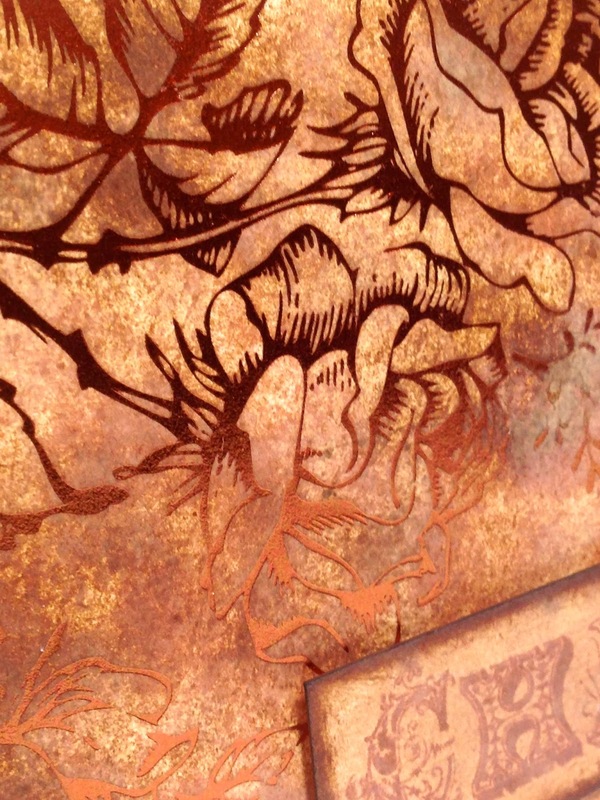 The flowers in the designer paper have a copper foil effect, and the sentiment is mounted up on dimensionals. 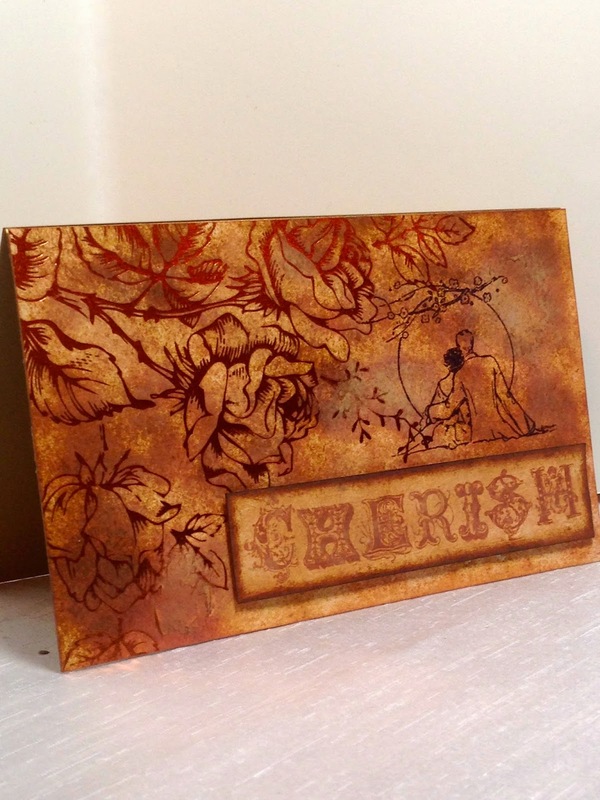 Ashley's card is a classic example of how many times in paper crafting when mistakes are made, you can still 'save the card' if you are creative and go in a different direction than what you originally intended. What about you? Have you ever changed your creative plans mid-stream because of a mistake? I'd love to hear from you! Really beautiful design Amy!! I love it and yes, mistakes happen to me ALL the time! LOL!! Amy, this is so pretty! Sounds like you had a great time with your daughter! I love days like that! Oh ! A beauty ! Fab card ! A very beautiful card Amy, your daughter is so talented! I love how the card turned out, although she didn't plan it this way. I have changed card designs many times because of a mistake. And most of the times I end up liking it even more than what I had in mind first.